The Crown Point Military Road was built in 1759 by order of General Jeffrey Amherst during the French and Indian War. Following roughly the path of a major Native American travel route from Lake Champlain to the Connecticut River, known as the Indian Path. It essentially follows the watersheds of the Black River east of the height of land in Plymouth/Shrewsbury/Mt Holly to the east; and the Mill River and Otter Creek to the west. Starting in the early 20th Century, historical groups (mainly the Daughters of the American Republic) began to mark the Road with a series of 70 or so mostly granite markers. At that time, knowledge and evidence of the road was still apparent. 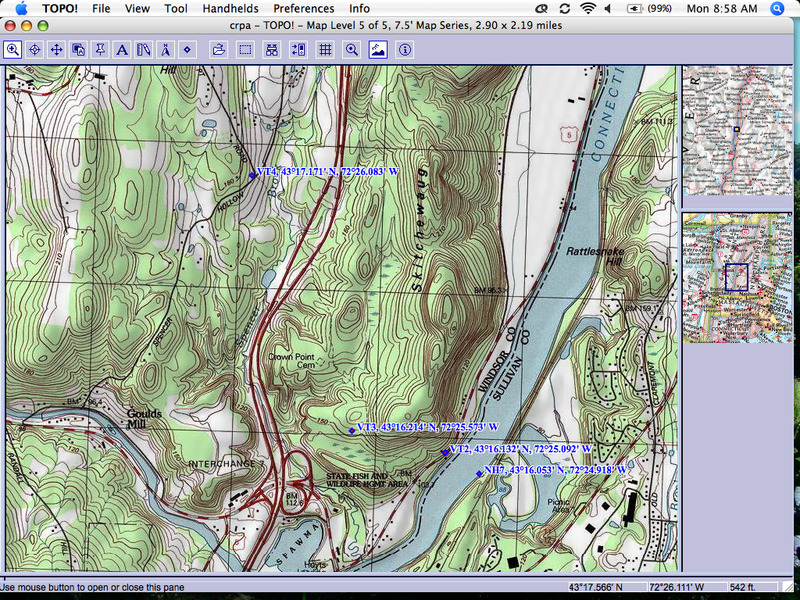 This page is devoted to assisting people locate these markers using maps and GPS waypoints. The Crown Point Road Association is a fantastic organization dedicated to the preservation of all materials, information and historical traditions concerning the Road. Please view their website at http://www.crown-point-road.org Participate in their excellent series of spring, summer and fall hikes. Please consider joining this great organization! Below is a text listing of the latitude and longitude, accurate within 20 feet, I hope, of every marker on the Crown Point Military Road and listed in the CPRA's Historical Markers book. 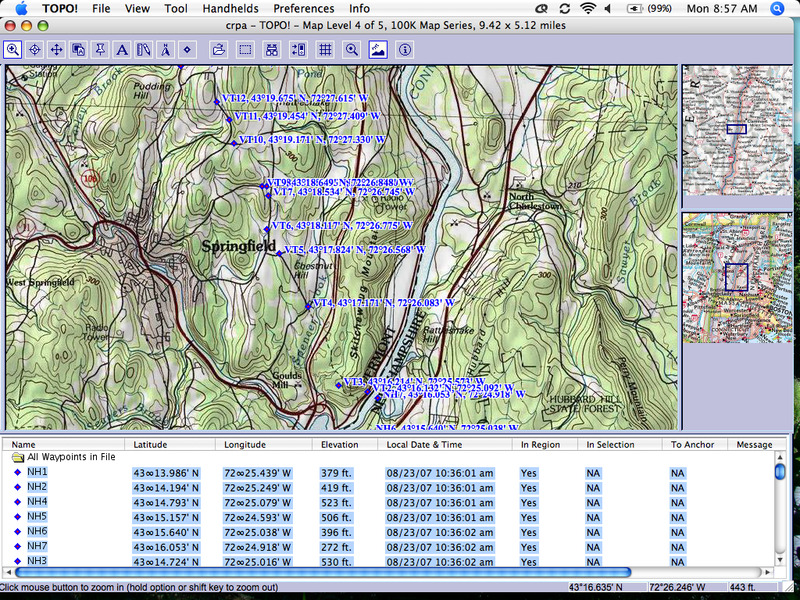 We have also included two file formats that are used in geocaching that you can upload directly into your GPS units, if you have the skills. (These were created by my good friend Carl Briscoe of Gaylordsville, Connecticut. Jim Purdy has logged the waypoints on Google Maps. Check them ut, it's pretty cool. Thanks Jim!